What gifts should we get for the groomsmen? It is bad enough the bride and groom has so many things to make sure go right before the wedding, during the wedding, and also after. They also have to worry about what to get for the brides maids and groomsmen as a gift to show their appreciation for them coming and all they do to help with the wedding. It is a hard decision especially if you really do not know what the grooms men would like. 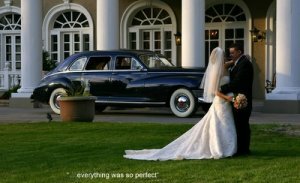 I am sure the last thing that the soon to be married couple are thinking about is what are they going to give me but I know for sure you want them to have something special for all the help they have given you to make sure your wedding went perfectly. 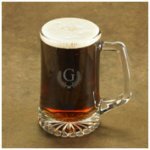 I am going to provide you a list of some unique groomsmen gift ideas that may help when you have to decide a good gift. 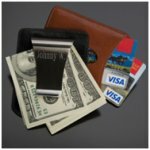 This is a money clip and card holder. This is engraved with the persons name and comes in handy when you can not carry a big bulky wallet around. This is a flask and Zippo set that has their names etched in it. 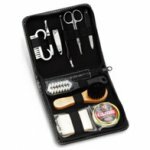 This is a leather manicure shoe shine kit. 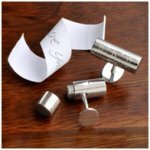 This is a personalized silver ball point pen and money clip set. 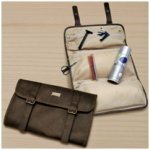 I hope this list has given you some ideas to help pick out the most perfect and unique gift for your groomsmen. 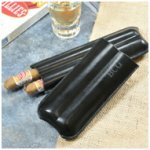 Everyone wants to do something a little different than the next person, and for that reason I might suggest choosing some of the groomsmen gifts that you can personalize! 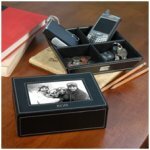 This way you can inscribe the married couple's name on the gift and having something that the groomsmen can hang on to and remember the day for as long as they have their gift. 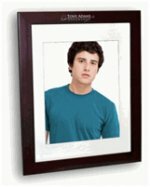 Share a link to a page on 15 Unique Groomsmen Gifts and we will consider it for placement on this page.